The bridge is quite steep and high, this is to allow boats with tall masts to still be able to go under it. The bridge also has 2 curves, one up and the other to the right, this was so the ferry could still keep operating during its construction. 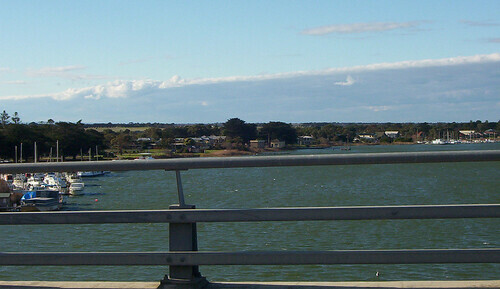 The ferry was hauled across on fixed cables between Hindmarsh Island and Goolwa. I am so excited Vicki let me take the pictures from the bridge. I think I took good photos and I wasn't scared at all with it being so high and windy. 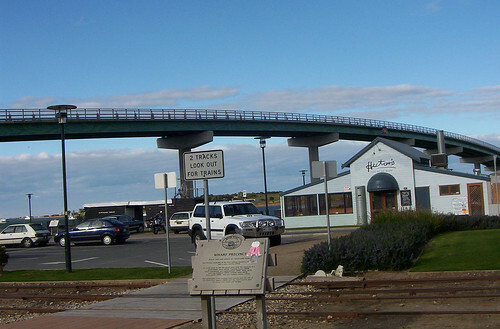 I had a bird's eye view of Goolwa and Hindmarsh Island from the top of the bridge.